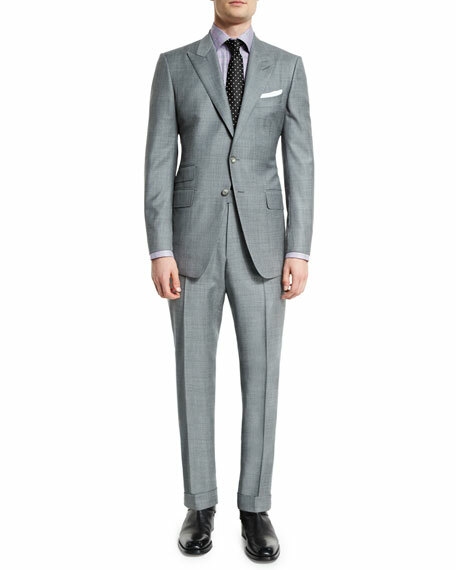 TOM FORD "O'Connor" base trim suit in Super 110's sharkskin. 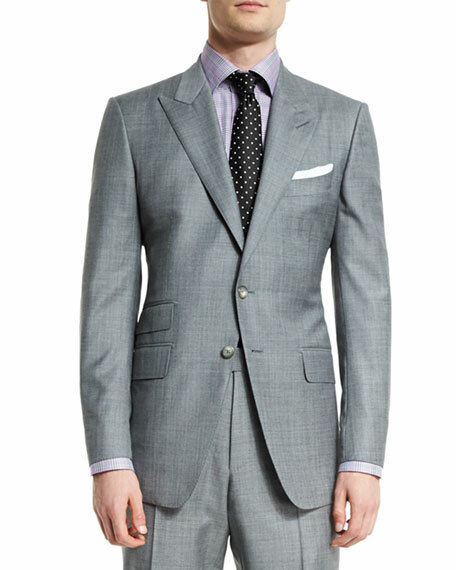 Narrow notch lapel; hand-finished double-stitched silk button hole. Flat-front tapered trousers with narrow width. This item runs trim and customer should consider sizing up. BOSS soft suit in virgin wool. Dry clean. Imported. Jacket: Notched collar; two-button front. Finished sleeves with four-button detail. Two exterior patch pockets; one welt pocket. Double-vented back. 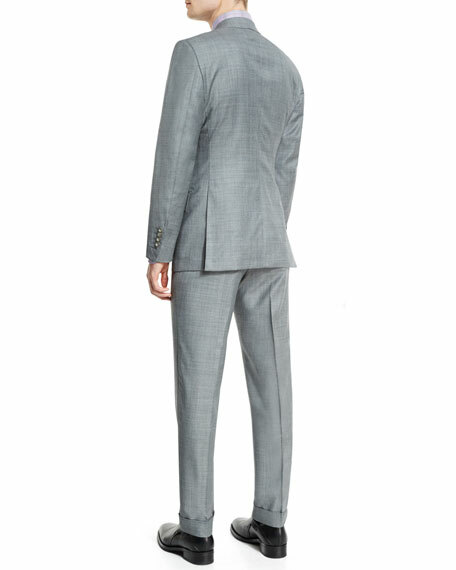 Pants: Side slash pockets; back button-welt pockets. Straight legs. Button-tab/zip fly; belt loops. Unfinished hem to be tailored to desired length. 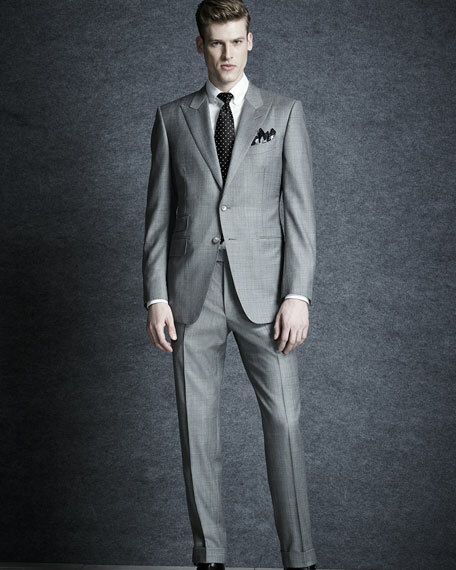 Canali two-piece suit in windowpane wool. Notched lapel; two-button front. Basted sleeves. Welt pocket at chest. Flap pockets at sides.